The oil cooler is mounted in the valley of the engine and uses engine coolant to dissipate heat from the engine oil. 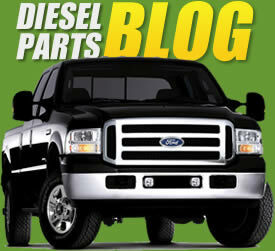 â€¢ Oil passes from the rear of the cooler to the front, while coolant passes from the front of the cooler to the rear. â€¢ The coolant and oil are separated by multiple plates that create passages in the oil cooler. â€¢ Note: If the oil cooler is damaged it could cause contamination of the lubrication and cooling systems.